Welcome to Expiscor! All sorts of discoveries… at your fingertips. So much hype about deadly spiders in the UK – thankfully BUG GIRL TO THE RESCUE. Go read her post, folks. Here’s another measured and rational post about false widow spiders in the UK. Monstrous verminous – some thinking about why we fear bugs. Jumping spiders – an evolutionary love story. Here’s Crystal Ernst’s take on post-conference excitement, and an honest portrayal of struggles in grad school. An important read (you’re not alone). At that conference, David Shorthouse put together a really amazing tool – a twitter capture tool that links bugs to literature. Just prior to that conference there was a photo workshop hosted by Alex Wild. Here are some of the stunning images from that workshop. Neat paper by Nash Turley et al. Habitat patch shape determines herbivory and fruit production in an annual plant. Tick collector – expect the unexpected... up your nose. You wil BEE amazed at these SEM images from the Smithsonian magazine blog. A must-have t-shirt for Entomologist – Eat. Sleep. Collect. A clew of worms. A clutter of spiders. A murder of crows. Here’s an amazing site with a rather impressive list of collective nouns. Creepy and cool science art: Trilobite boy. Heat a house or a body? My colleague and friend Murray Humphries recently published a paper about city-scale human thermoregulation – bottom line: put on a sweater! I love this post by Derek Hennen about the value of twitter to a young scientist. Well said, Derek. Liz Neely writes about ‘warmth’ in scientists and in science communication – very thought provoking. 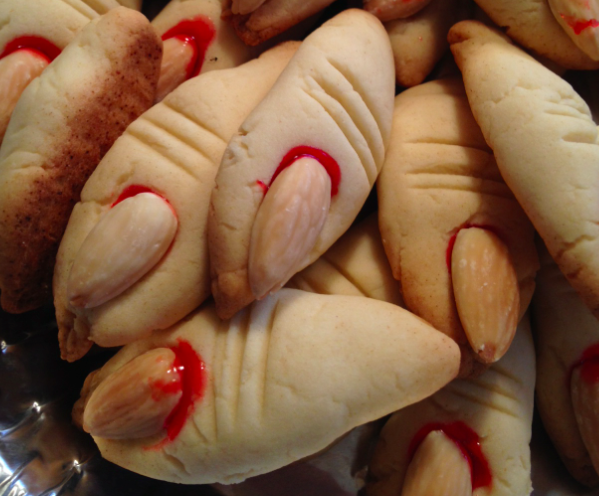 In the spirit of Halloween… BLOODY FINGERS! Yum yum. The irrational fear of GM foods. McGill is entering the world of MOOCs —> first up, Food for Thought. How professors are using social media – nifty infographic. Speaking of nifty – turn your i-phone into a microscope! Darwin’s son draws some pretty lovely pictures!